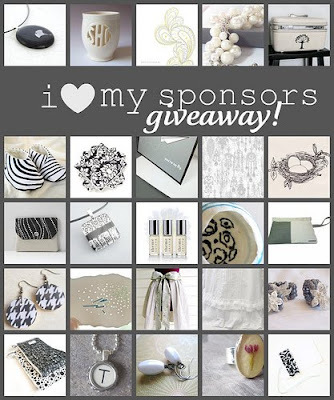 the rikrak studio: i love my sponsors ( & moms) giveaway! thanks for your encouraging words & lovely lovely comments. i always love reading what you have to say! and thanks for playing all the little games, participating in activities, leaving fun messages on the blog, too! AND... thanks so much to all of you lovelies out there who have really made my day by supporting my little adventures, as dear sponsors! you nicies mean the world to me, and i really appreciate it! so with a thankful heart, and as we celebrate all of the motherly figures in our lives, i present a fun new giveaway! 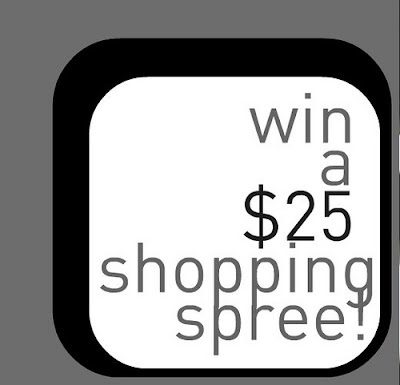 you can visit as many sponsor shops as you like and comment once for each shop. = 25 possible entries. already subscribe/follow? great. just tell us here! 8. please just make sure that each entry is its own comment! c) for this particular giveaway, YOU MUST BE A RIKRAK studio follower or subscriber, old or new! thanks! wednesday may 19th @ 5pm EST. have a great mother's day weekend. hugs to all of the amazing women out there: moms, grandmas, aunts, teachers, friends who give us motherly love! and see you monday for KIDS WEEK: a fabulous week of kid-friendly handmade giveaways! woohoo! I really like the Fused Dichroic Glass Earrings Striped Amber Orange from Luv2have Thanks for the giveaway! ... the Bird Pocket Pouch from HotButter, so cute! I've tweeted about your cute giveaway! Obsessed with Pulp & Paisley! She is on the Crafting in Color Team with us and we love having her! DawnCorrespondance is another Crafting in Color Team member! Love the vintage typewriter barn owl necklace from Buster & Boo! I love anything with mushrooms, so I am really loving the Lagoon Fabric at FabricShoppe! the erin mcmorris sunglass case holder in elliven's shop is adorable! I've been very fortunate to have the best mother and grandmothers in the world, but this Mother's Day, I feel especially fortunate to have the best future Mother in Law as well. I'm a very lucky woman! AHHH I left a bunch of comments from the wrong account! This pink and yellow cotton paper print by PaperSquid rocks! Usually I try to look through more than just the first page of items, but the Koi Fused Glass Pendant in PennyGlassGirl's featured items is gorgeous! I love the VINTAGE Hot Pink Mottled TOTE Travel Bag LUGGAGE from getreadysetGO! Penny glass girl's shop is one I hadn't heard of yet but I really enjoyed taking a look. I think that the Carnival fused glass bracelet is beautiful. Love love love the marrone marrone pot holders from Fluur. I love that color combo! I tweeted about it a second time! My mother is such a special person in my life. She was able to stay home with me when I was a young girl because she worked as a seamstress. She made most of my clothes, and even though our family was very poor, I never knew it because my mom was very creative. We had art shows for the neighborhood, made our own puppets and put on puppet shows, made a full-size home in the woods by making a floor plan with string, then we made furniture with old boards from a barn. She was such an inspiration to me and continues to be! Right now I'm off my feet for 12 weeks due to ankle fusion surgery, and she is here taking care of me! I am a high school English and Journalism teacher and I feel like each child is my own. I love them dearly! I had to take off the last six weeks of school for medical leave, due to ankle fusion surgery, and I miss them dearly! Each class threw me a going away party and made me beautiful cards that I have on my wall beside my bed. From Kiokko, I love the Red Lotus Bib! From elliven, I love the Amy Butler Ipod sleeve! She ROCKS. She is taking a crocheting class with me every Thursday night for six weeks even though she is not a crafty person and is continually frustrated with her yarn. She is taking it just so we can spend some time together, and I think that's really cool. I am a new subscriber to your blog and I actually can't believe it took me this long because I've visited many times before! Ok, I would love to win from any of these shops, so I'm going to hunker down and enter as many times as my work-averse personality will let me. For the Kiokko, my favorite things are the bibs, I love the simplicity and large prints on them...very European. Are you kidding? Ruffles on stationery? So cute! But I think I'd like the Amy Butler Card Wallet. I know someone who would love the flowers pendant! I have to have that Underwear Clothesline pouch by Hot Butter!! I like Pulp and Paisley's Orange Crush bib necklace...and there's free shipping too! I can't choose between all of Rosy Und posy's sandwitch bags, I need a whole set! I for sure need Anna Maria Horner's baby girl blanket from Claire and me. Love it! Ok, Mandinka's bags are a bit expensive, but my MIL would love several of them. From Luv2Have, I love the Rainbow Etched tree of Life pendant! I love Dawn Correspondence's Whimsical Damask Thinking of You note cards...sure could make use of those! Designed by RJ's Yellow Penny Pod earrings please. Stop it! That Hedgehog skirt at 2 Sweet Things is to die for! I'm totally diggin that manetti ring at Rosaleria. I really love the coed clothesline pouch from HotButter ! Well, those imitation turquoise bird necklaces take me back to my childhood at Lucinda's. Very sweet. I can't decide between all the lovely bags at getreadysetGo! they are all fabulous. I do like the soft rather than the hard cases thought. Stop it! Paper Squid is AH MA ZING!I really love some of the prints, but I love the practicality of the tags...and the "You piss me off" card is hilarious too. I know a few girls, myself included, who would love the little red heard necklace by buster and boo! I didn't find much at Fluur, but I do admire her creativity and artistic aesthetic. A special mother figure, huh? Well, there is none more important than my own mother. She taught me all I know about art, and I've known that for a long time. But more than that, she taught me charisma, public speaking, laziness, procrastination, how to laugh loud, the importance of tradition, how to appreciate the small things, and so much more. I love my momma. I'm not a mom yet, but there are lots of special kids in my life...I get to be a teacher! This week was teacher appreciation week and I got so much love I don't know what to do with myself! My favorite gift was one of those reusable plastic starbucks cups. Oh, I'm also a follower, so count me in for another comment! A special children in my life is my cousin. I love him! Love the "tees for grownups" at Kitworks. The owl print tee is definitely my favorite. Thanks for this opportunity. P.S. I'm a follower of the rikrak studio blog on Google Reader. I'm a big fan of vintage typewriters, so the Vintage Typewriter Key Necklace from Buster and Boo, with the letter 'C,' for 'Clara,' of course, would be great fun to wear. P.S. I follow The Rikrak Studio on my Google Reader. The Tea Rose Earrings at Designed by RJ are perfect for summer-wear. Very sweet pieces overall. Thanks for the introduction. P.S. I subscribe to The Rikrak Studio in Google Reader. Love the Spellbound fabric by Art Gallery, Blue Wallpaper from fabricshoppe. Adorable. P.S. I'm a subscriber to The Rikrak Studio on Google Reader. Hot Butter's pouches and wristlets are tres cute. I particularly like the Bird Pocket Pouch. Keeping all fingers crossed. P.S. I subscribe to The rikrak studio on Google Reader. the long legged blue bird pillow! Jaded. Purple Candy Jade Pendant Necklace. The Spring Disco Dot Burp Cloth Set from Kiokko is so cute! I love the little apples on the Sandi Henderson Ipod Sleeve from elliven! The Rainbow Etched Tree of Life Fused Dichroic Glass Pendant from Luv2Have is absolutely stunning! I really like the Speak No Evil - Porcelain Pendant on Sterling Silver from MaidofClay...I've never seen anything like it, but it still seems so wearable! My favourite pattern for the Reusable Cloth Sandwich Bag is the Green Peapod. Ahhh, I'm in love with ALL the fabric from fabricshoppe, but I especially love the Summer Song Fabric by Mind's Eye for Riley Blake!! The plait in gold necklace from alexkeller is so simple, yet gorgeous. Mmm, theemptynest's Handpainted Big Cat Tee Shirt is cute! I definitely would like to try the Theme Fragrance Seashell Perfume Roll-On, I love citrus scents! I have a scarf obsession... and my favourite from Fluur is the Miyu design! From GetReadySetGO I love UPCYCLED Cherry Red VINTAGE Messenger Bag with Dandelions and Seedlings LUGGAGE. From tanisalexis I love medallion of imagination. handpainted and drawn on leather with handfelted backing. From Dawn correspondence, I adore the Navy and Red Hey There Sailor Note Cards ...very cute for my summer cookout parties, beach outings, or just friendly thank you greetings! Champagne Bubbles Fused Glass Earrings from Penny Glass Girl caught my eye. Thanks for the wonderful giveaway. Cat Tile Plaque from Maid of Clay. I love cats. Thanks for the wonderful giveaway.